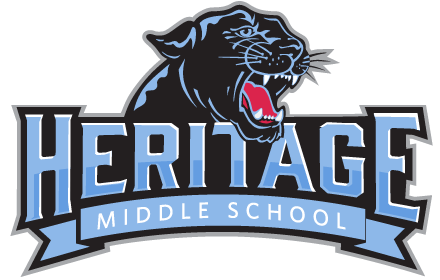 Welcome to the Heritage Middle School golf program. My name is Adam Heaston and I’m the head coach of our team. I am from Cadiz, Ohio and have been playing golf since I was 12 years old. In high school, I was on the golf team and participated in the District tournament during my Junior year and also competed at the collegiate level for a year before dedicating my time to my studies. The game of golf is one of patience, trial, and error. My goal for our team is to learn about great rewards that come from picking up a sport they can play for their entire lives. This game is challenging both mentally and physically, developing great discipline for anyone willing to stick with it. Tryouts will be held August 1st and August 2nd @ Rolling Meadows Golf Club starting at 8:00am. Tryouts will consist of each golfer playing 9 holes. Cuts will be made only if necessary depending on the amount of interest. Transportation TO practice will be handled by the school. All students will need arrangements to be picked up from practice. All practices will end at 4:30pm or 5:00pm. The practice schedule will be issued following tryouts. We are responsible for feeding our students after school on match days. Parents are asked to volunteer to bring food for at least one or two matches depending on the number of players that tryout. Please contact Coach Heaston immediately if your student is interested in playing golf during the 2018-2019 fall sports season. Let me know your students name and t-shirt size. Thank you!